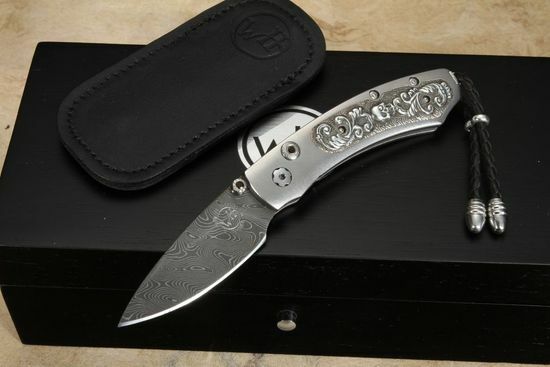 The William Henry B09 Cranium Kestrel knife is an aerospace grade titanium framed tour de force. 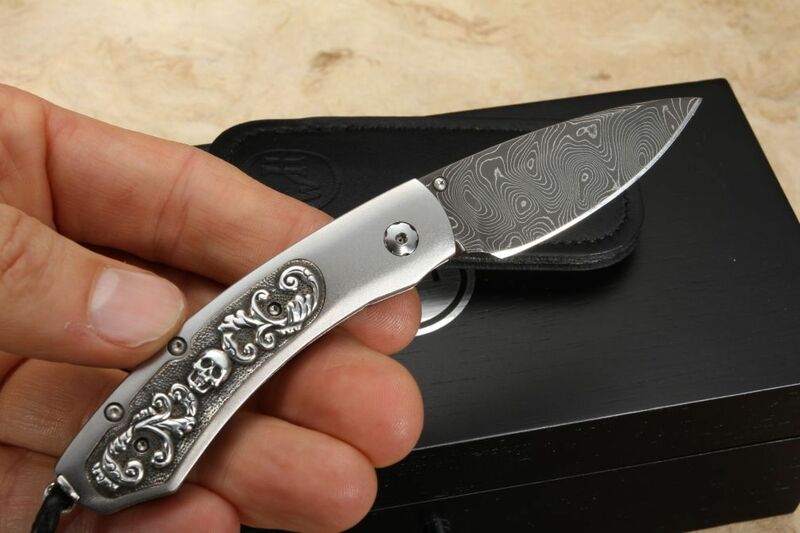 The Cranium is a limited edition of 35 individually numbered knives, perfect for upscale carry that offers some of the best materials available to knifemaking. 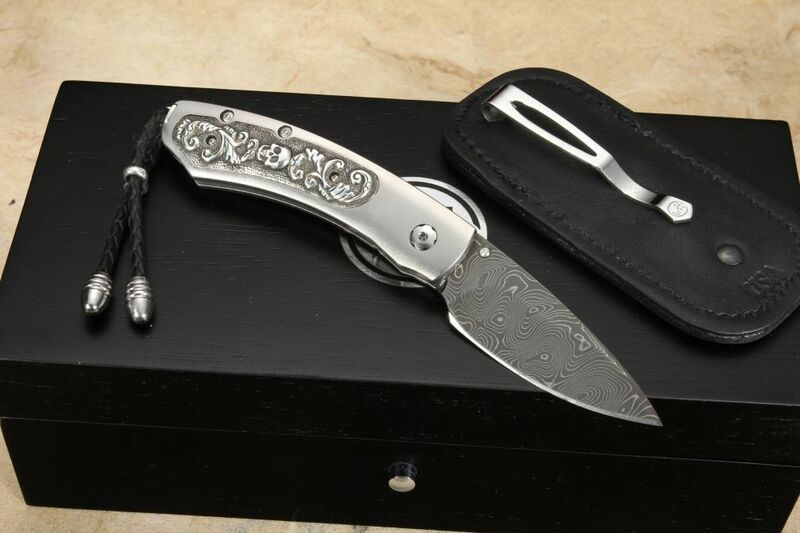 Blade features a hand forged 'Boomerang' pattern damascus blade by Chad Nichols. 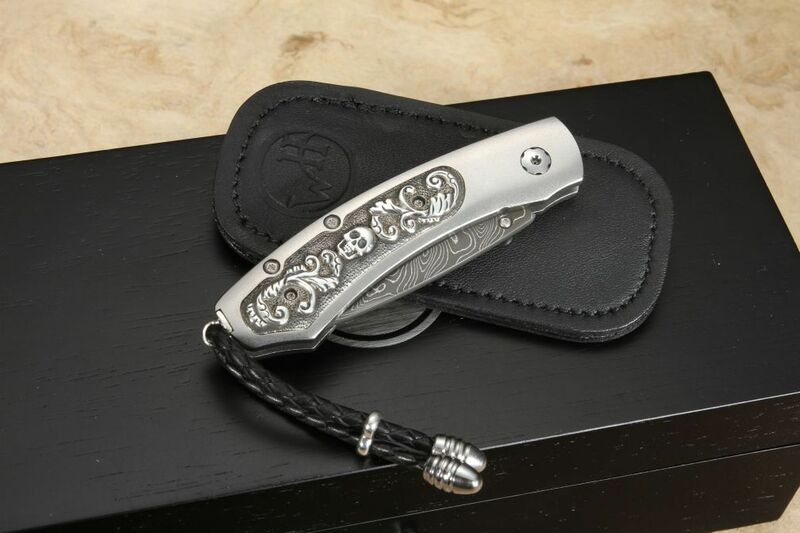 The handle inlay is a hand carved sterling silver design by Lee Downey in a skull and scroll pattern. The knife comes in a William Henry wooden display box with a certificate of authenticity and leather clip case. 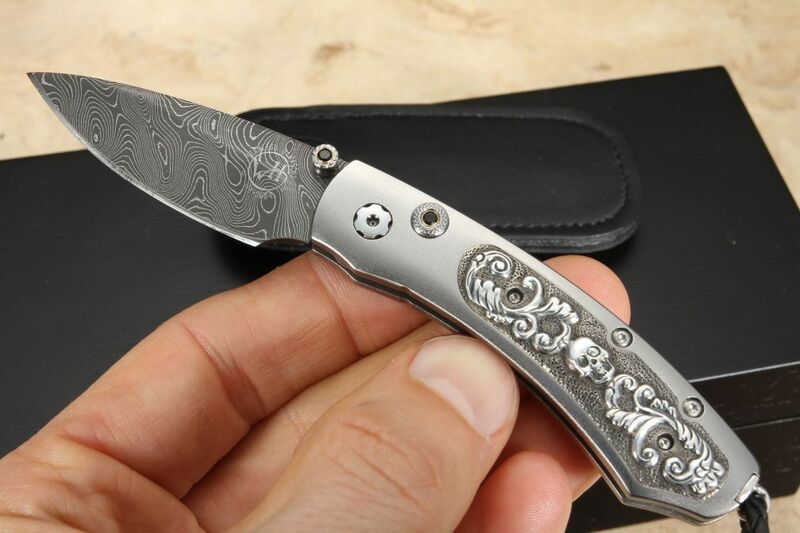 William Henry stands behind their product and is so confident you are going to be satisfied with your blade that as an authorized dealer, Knifeart.com charges no restocking fees, professionally curated merchandise, and fast free shipping on US orders over $150.